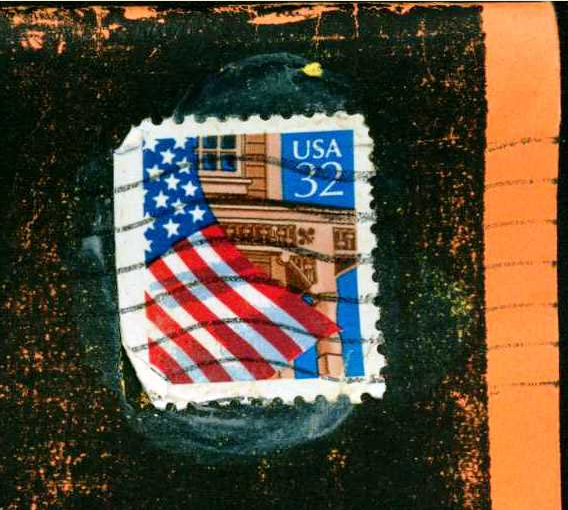 It's time for round 2 of our best zine-related cataloging entries! I'm married to a first-time marathoner running New York on Sunday, so this cataloging report is dedicated to him. This is the week I finish cataloging Keight Bergmann's donation. Thank you SO MUCH Keight!!! That's Keight on the front/right wearing a blue scarf. 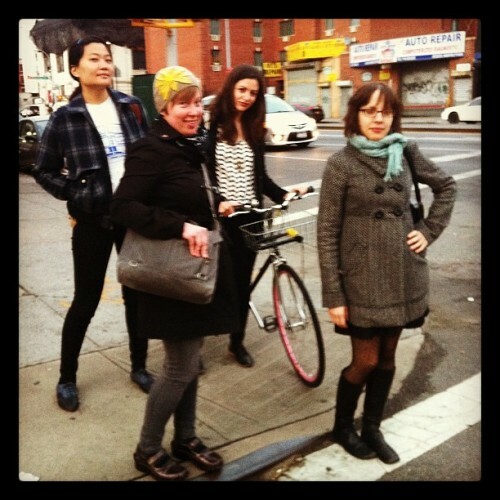 Also pictured are Yumi Lee (back left), who donated her zines in 2006; Marissa Falco (in the cute hat), who donated her zine collection in 2009 and Laura Fisher, holding the bicycle (maybe we'll get her zines in 2015?). Photo by Eleanor Whitney, posted on Ladies, Women and Girls. Free & open to the public. There will be snacks & beverages. Submit to Muchacha #7 today! The deadline is today and the theme is the "Coalition Edition!" Don't get me wrong--we don't take Columbus Day off at Barnard, nor do I want to honor Cristofero Colombo in any way. It's just a different thing to say than Zine Cataloging Report: 10/11/13. This will be a half day's worth of zine cataloging since I spent a few hours today at a radical archives working group meeting organized by Chitra Ganesh and Mariam Ghani. I thought cataloging this week was going to be messed up because of the government shutdown and the resultant shutdown of the Library of Congress resources to which I refer. 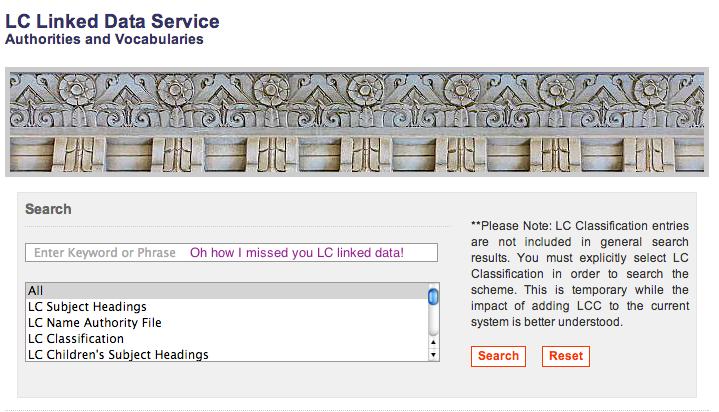 But...it seems that the LoC web is back!